Boy's all-time classic sneakers in the nostalgic style of the 1950's. 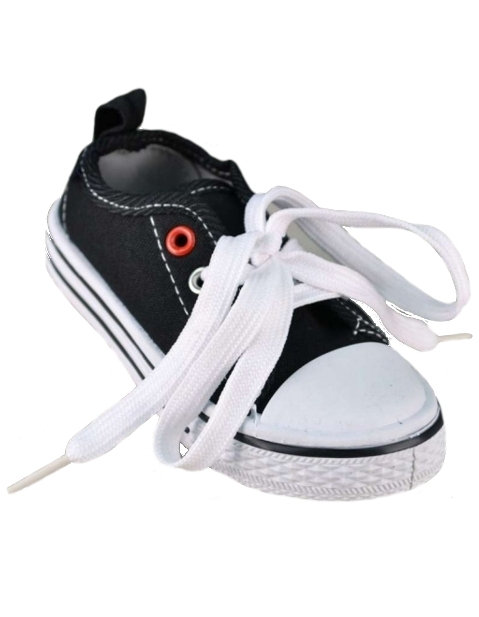 Get the hipster toddler boy fashion look with these stylish sneakers. Current fashion trends are to mix special occasion formal wear suits with everyday casual shoes and accessories for a quirky and personal style that fits your little guy. Red accent eye. Grippy rubber soles and shock-absorbing footbed for super comfort. Please use the sizing chart below for accurate ordering. Sizing is measured from the toe to the heel at the bottom of the shoes: Size 7(6 5/8"), Size 8(6 7/8"), Size 9(7 1/8"), Size 10 (7 1/2"). He'll not only be officially cool for school and king on the playground but also adorably unique at more formal events! Ships in 1 business day from the DapperLads store.